Formulate an evidence-based treatment plan for a variety of patients with chronic idiopathic constipation. Clostridium difficile (C. difficile) is a significant cause of infectious disease deaths in the United States, constituting a serious public health burden. According to the Centers for Disease Control and Prevention, nearly 250,000 people become infected with C. difficile during hospital stays each year, surpassing the number of methicillin-resistant Staphylococcus aureus infections. 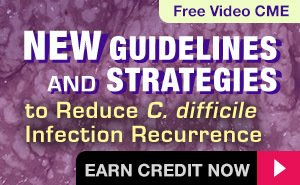 Apply current evidence-based guidelines for the overall management of C. difficile infection. Incorporate treatment strategies that may reduce C. difficile infection recurrence, as well as antibiotic resistance.